Several large new contracts and many new developments in sensors enabled to tackle the increasingly difficult international sensor market with great success and also provide a very positive overlook for the future. Significant new developments include two sensor series which integrate more than the traditional rotational speed detection. The M8 series now includes a temperature sensor and the ABZ series can not only measure rotational speed but also the direction of rotation as well as position! The additional features offer not only technical but also cost advantages to users. Further developments in this area are nearing the launch of sales. Both innovations will be present at the Hanover fair CeMAT. A spectacular feature will be present in a new version of the hand stroboscope RT STROBE pocketLED in Hanover: The auto-sync function using a laser beam and a clever signal-receiving. The subsidiary RT UK in England with the bespoke craftsmanship present in Leeds, Yorkshire continues to be a specialist in the production of mechanical and electrical instruments and tachometers. 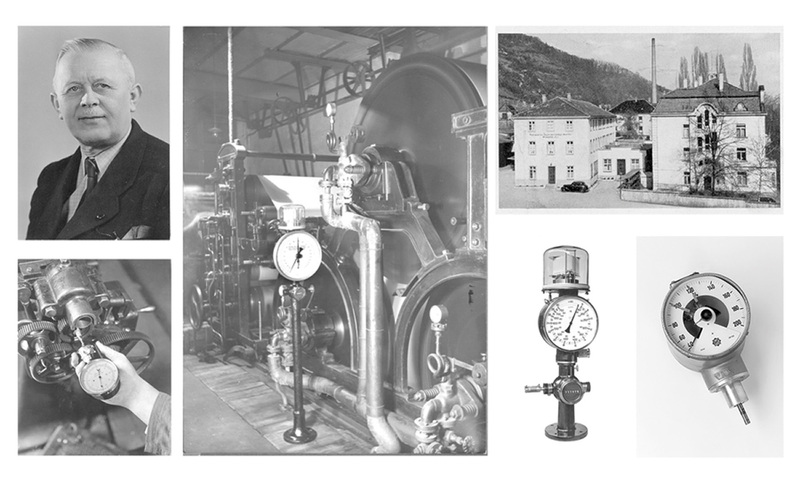 Together with over 110 years of experience available from the German parent company and its own combination of over 200 years of experience from Foundrometers Instrumentation and Hardings of Leeds, history is accompanying the RHEINTACHO group into the future. RHEINTACHO UK has specialized in the development of ATEX products. These are often used in areas where there is sometimes a risk of explosive atmospheres due to either dust particles or gases. As the newly appointed ATEX competence center within the RHEINTACHO Group, they are currently developing ATEX versions of some well-proven and established products. At RHEINTACHO, we find solutions for your challenges.